Unique waterfalls, vibrant foliage, and a bright 5-story atrium welcome you to Embassy Suites by Hilton Milwaukee Brookfield. Our all-suite property provides amenities and services to make your stay easy and fun. 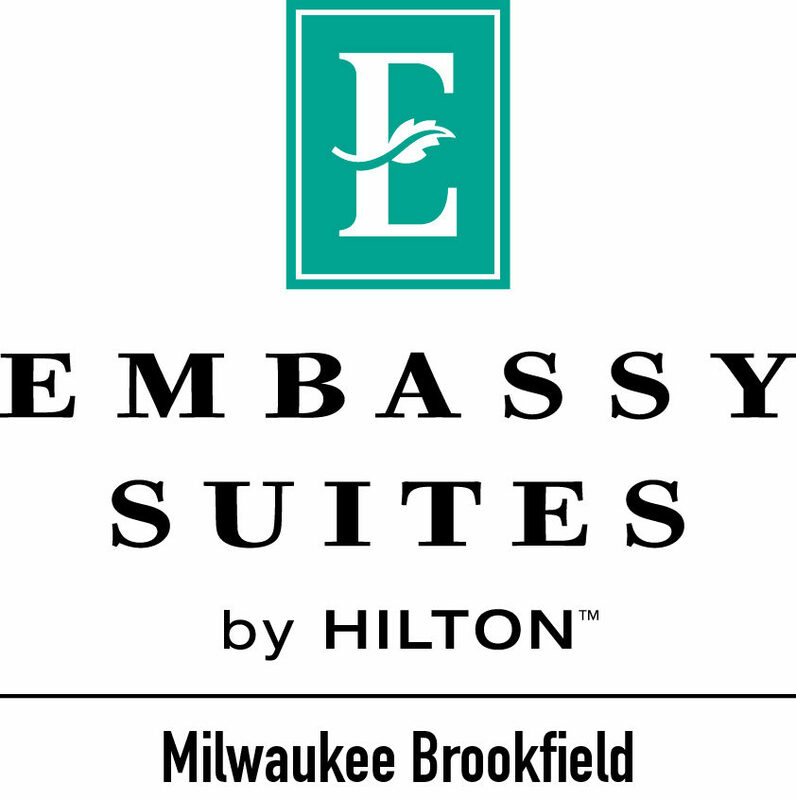 We are located close to downtown Milwaukee, Brookfield, Wauwatosa and Waukesha. Begin every morning with our free cooked-to-order breakfast featuring omelets with your choice of fillings, fruit, breakfast meats and more. Each day we offer drinks and snacks at the complimentary Evening Reception* in the beautiful atrium lounge. Indulge in room service to complete a relaxing getaway. Each of our two-room suites offers a private bedroom and a separate living room with a sofa bed. Watch either the 37- or 42-inch HDTV with cable channels and movies. Our suites feature a refrigerator, a microwave, and free WiFi. Upgrade your suite for up to 1,200 sq. ft. of space, a whirlpool tub and a conference table for eight.